Discover different ways to pay for college and learn more about the FAFSA process. 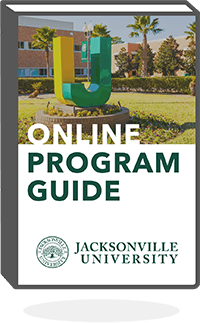 Discover the flexibility and quality of Jacksonville University’s online programs. Learn more about our degree and certificate programs, tuition and the advantages of online learning. 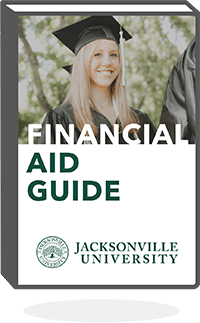 Receive articles on career advice, online education, industry data, and Jacksonville University. Most registered nurses (RNs) are very familiar with the Magnet Recognition Program© sponsored by the American Nurses Credentialing Center. A key component of this program is a leadership style known as “Transformational Leadership.” This concept was introduced by political scientist / historian James MacGregor Burns, who studied the effective style of historical leaders such as Gandhi, Roosevelt and Kennedy. The theory, published in his book “Leadership” (1978), was quite unconventional and was greatly impacted by Maslow’s hierarchy of needs model. Simply stated, Burns theorized that meeting the needs of followers was key to achieving high-work performance. This model of leadership can foster employees to find value and meaning in their work, to make vital and noteworthy contributions to the organization. Developing nurse leaders for tomorrow is the primary goal of online MSN in Leadership in Healthcare Systems programs. All nurses need strong leadership skills, but successful leadership styles are absolutely critical for the formal nursing leaders of the future. Nancy Dickerson-Hazard wrote a delightful book entitled “Ready, Set, Go Lead!” This resource addresses the top qualities of a nurse leader in three separate sections, and is available thru Sigma Theta Tau International. Do you want to build your personal leadership abilities? Are you willing to devote regular time and energy to leadership development? Are you willing to change behavior and thinking to achieve your leadership goals? Do you believe in continual self-discovery? Dickerson-Hazard speaks of being forward-looking and strategic. Transformational leaders create a “can do” attitude via empowerment. This is often an effort, involving time and commitment to discover each staff member’s goals and aspirations. However, this knowledge allows the leader mentor and guide younger nurses. Effective leaders hold others accountable, yet are so themselves. Staff can “sniff-out” hypocrisy quite easily, which will undermine all the leader’s efforts. Modeling professional attitudes and behaviors, mastering clinical excellence and displaying a spirit of inquiry are vital elements to creating an empowered staff. Creating a shared vision is difficult for some leaders. With a transformational style of leadership, employees have a voice in both creating the vision and making it become a reality. In this scenario, the leader has a strategic plan, and is able to communicate in an effective and captivating way. The result – the employees want to be a part of the vision. “Thinking outside the box” involves creativity and innovation. Leaders inspire and motivate others through effective communication, truly listening and inviting input from others. Sometimes, great ideas come from unexpected places. Effective leaders often need to be humble, recognizing that they cannot make substantial and lasting changes without staff involvement. Leadership also involves recognition of others, honoring employee input and effort.